New Delhi, 11 December 2015: Almost 1,200 children and staff from 20 child rights organizations and schools in Delhi submitted a memorandum and 1,00,000 signatures endorsing their demand for their Right to Play to the Deputy Chief Minister of Delhi, Shri Manish Sisodia. 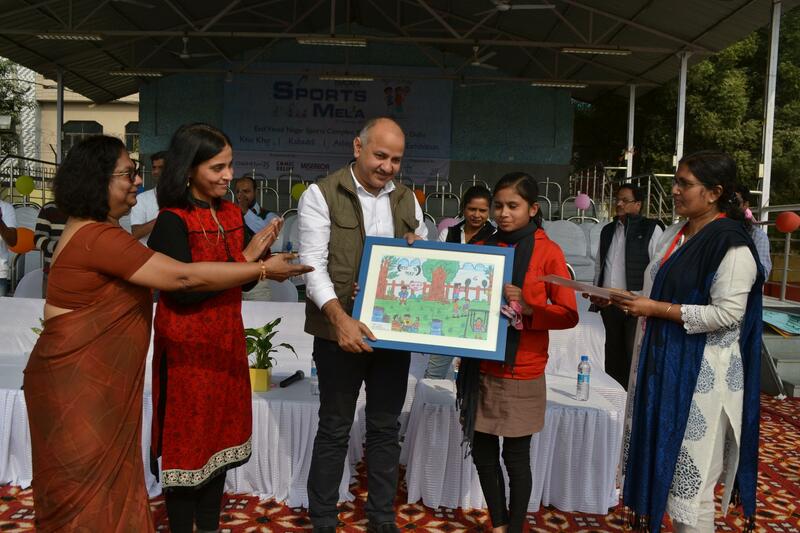 Children who participated in the poster making contest on children’s day were also felicitated by Shri Manish Sisodia at the 1st Sports Mela held here today. Children in the memorandum are questioning the limited space & time available for them to play due to restrictions by parents, Resident Welfare Association (RWAs) in parks, schools and sports bodies. Children are also questioning the safety and accessibility of existing public grounds, sports complexes, which force them to play in streets & alleyways thus putting them in danger of being hit by vehicles. While sharing the new initiatives taken by the Delhi government like allowing public school grounds to be freely used by all children after school hours and improving school books, Shri Sisodia also assured the children that their concerns will be addressed and said that “even 1 child coming and sharing his/her concern with him is enough for him to take action”. Children are demanding that families should allow every child including girls to come out & play. Children also want schools to include a sports period everyday with adequate sports material and sports teachers available. Further, all sports complexes & stadiums should be open & free for children to play and all play grounds should be safe & secure. In spite of the importance given by research from a range of disciplines including education, psychology, philosophy, medicine and anthropology, millions of children are denied opportunities for play and recreation due to varying reasons like war, diseases, abilities, lack of safe spaces and a clear urban and rural development policy that demarcates spaces for play and sports or recognition of the importance or misconceptions on play and recreational activities in the overall development of a child. Play, recreation and sports are considered to be cornerstone of children’s health and well-being and researchers have found its positive impact on the life of children. Playing together provides opportunities for social, moral as well as emotional development hence counts as a vehicle for personality development. Research reports of Butterflies have also been helped to bring out the issues pertaining to children’s right to play especially in the city of Delhi. A survey presented by children from Delhi Child Rights Club (DCRC) in 2010, revealed that even though Delhi has 14,000 parks & open spaces, majority of them have become inaccessible for children. Several of them have also been taken over by Resident Welfare Associations and made into ornamental parks, have become parking lots, garbage dumps or considered unsafe for children as they are frequented by substance abusers and anti-social elements. The study also revealed that street, working and vulnerable children in the city are denied access to playgrounds and other recreation facilities. Reduction in number of playgrounds, availability of play areas and equipment, children’s addition to television and computers were also noticed as issues related with children’s right to play in the urban landscape. 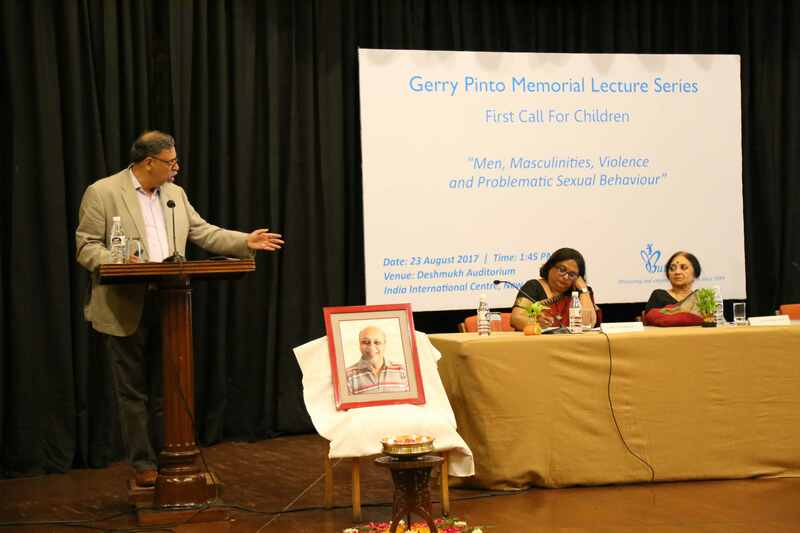 “Play not only helps in mental & physical well being of an individual but also erodes the boundaries of caste, colour, religion, & gender. Parental pressure, excessive emphasis on academic performance has diverted children’s attention from play and due to pressure of performance in schools, children have involuntarily withdrawn into their shells. 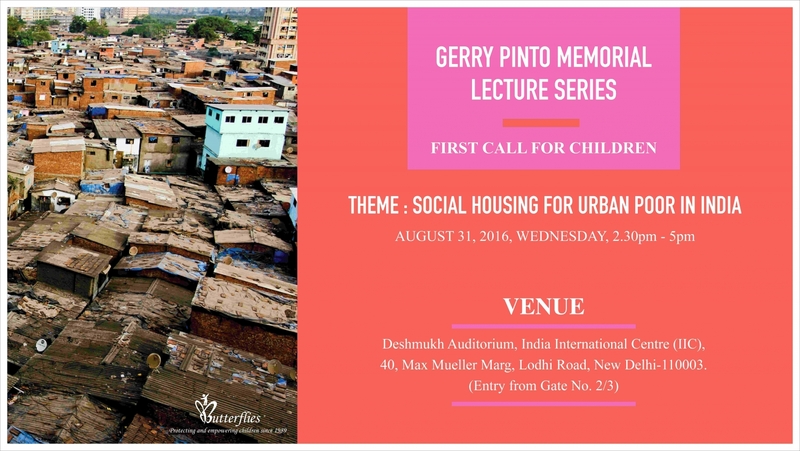 Children must be given access to all public places- gardens, sports facilities. Creation of children’s forum in RWAs must be made compulsory for integrating interest of children in RWA’s agenda”, added Ms. Panicker. India joins the ranks of countries like USA and UK which are witnessing an abysmal depletion of sports & play facilities like grounds, parks for children which ultimately leads to several health problems among children like obesity, due to lack of intentional or unintentional exercise. Unplanned construction and commercial structures eat up the open spaces. To mitigate this crisis, Butterflies has been running a campaign, ‘Children’s Right to Play’ since 2010 with an objective to bring this issue into the mainstream of national discourse on child rights.